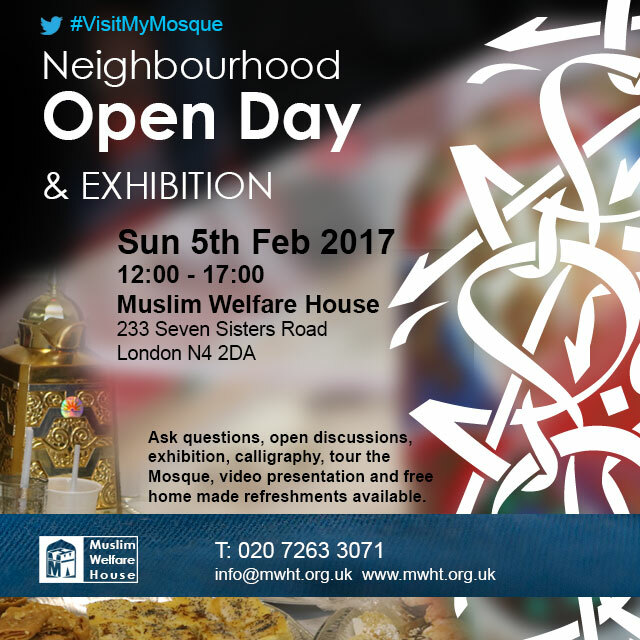 On the 7th of Feb 2015 Muslim Welfare House opened its door to the wider community to visit the Mosque and share a cup of tea with the Muslim community. 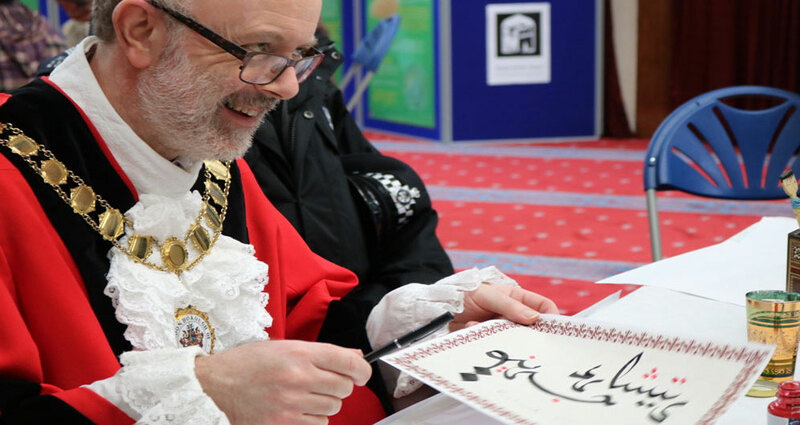 an initiate by MCB under the title of #VisitMyMosque where more than 200 neighbours from Islington, Haringey, Hackney and other boroughs attended the open day and were surprise to be received by a very warm welcome not only buy the organiser but also from the Muslim community.Special thanks to all visitors, volunteers, staff and Exhibition Islam for their contributions. This year we are very exited to welcome our neighbours to our Open Day on Sunday 5th February 12:00 – 5:00pm. Families are welcome, we promise a warm welcome, free hot drinks, home made sweets and any questions you may have will be answered. Get updated about our next Open Day, Subscribe to our event list here..